Stamped white label without any artist or track information. 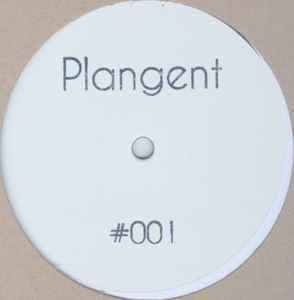 B-side has a "P" stamped on it in difference to<a href="http://www.discogs.com/Recondite-Plangent-001/release/2703975"> this pressing</a>, which instead got the labels URL stamped on its B-side. "Robur” calmly brushes past you like a summer breeze, so delicate and light you feel every texture as it moves. The melancholic beats are smooth and polished and they flow like they’re falling off a mountain glacier into a crystal clear lake. I haven’t heard anything so immaculately polished yet incredibly deep in a very long time – quite simply breathtaking.